High-performing teams in a high-performing culture is an imperative in the current marketplace. A premium brand international truck and bus manufacturer was plagued by a norm of that industry – tremendously high turnover of sales people. In the year before they engaged Leadership Solutions, they had turned over 100% of their sales people! A quick calculation that takes into account recruitment and on-boarding costs, time taken to generate sales, lost sales and lost relationship suggested that this was costing them around R3 million for each resignation – and in that previous year they had 17 resignations! Something had to change. Their Sales and Marketing Director had a vision of creating an elite group of Ambassadors who would become strong brand ambassadors and real professionals in an industry known for its cowboys. To this end, he wanted to enable his sales force to develop and grow in every aspect of their lives and become well-rounded professionals who could hold their own in any company – from the blue chip boardroom to the farmer moving his timber or bananas. We knew that we had to take a holistic approach to this. Not only did we need to provide appropriate development for these Ambassadors so that they could grow, but we also needed to make sure that they were well led by people who really understand what salespeople need (and how high maintenance they can be) and who would be able to support them appropriately. We build coaching into the programme, and ensured that this was provided by both Belinda Davies, and the programme facilitator, and by their sales managers. The consequence was that market share was grown from 6% to about 13% over a 3 year period, and the turnover in sales people reduced to about 15% per year. “You cannot imagine what an impact you have had on my life. From someone who was always in panic mode and completely stressed out, I can now take more in my stride and really have focus.” Senior Manager, Distribution. Our team coaching service is fully customised and tailored to meet the needs of our clients, and typically focuses on goals and expectations, roles, systems and procedures, and interpersonal issues. Our typical approach would be to ask team members to complete some quick user-friendly questionnaires in order to identify potential development areas. This enable us to develop team building and team development processes around the specific challenges facing each team, in consultation with both the leader and the members of the team. 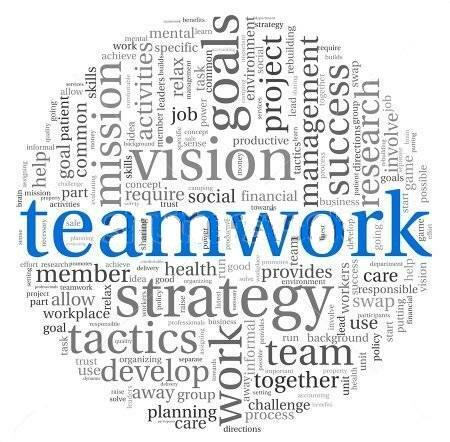 Typically, in the context of a workshop, the team may reach decisions regarding mission, vision, values and norms, and make decisions about the critical processes that will elevate the team’s effectiveness to new heights, including how they collaborate and manage conflict. After the completion of the workshop, the coach works with the team to assist it to implement its decisions, to overcome obstacles and resistance to change, and to help the team effectively self-correct in the future. A means of measuring the team’s effectiveness from time to time is also implemented. At the end of the process, the team members re-assess the team’s competence in the same areas. The personalities of the people in a team account for the team’s overall personality – its strengths, its weaknesses, its blind spots and its focus – and when this is beneath the awareness of the team members, the team often struggles. This shows up in how people communicate (or miscommunicate) with each other, the misunderstandings they have and the difficulties they have getting onto the same page. 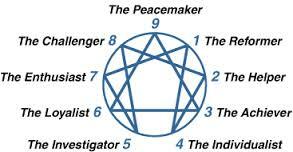 We use the Enneagram Personality Profile to give team members insight into their own and their team’s personality, identify where they have strengths and where they struggle as a result of their composite personality, understand some of their blindspots, and determine how they can improve their functioning as a team. As a result of this process, we find that team members start to communicate with an understanding of the perspective of the person they are in dialogue with, rather that communicating as if they were talking to themselves. I have often conducted this Team Personality Workshop prior to taking a team through Strategic Planning – greater interpersonal understanding fosters trust, and teams are then more likely to be more imaginative in their strategic thinking.